Eden Metcalf wants nothing more than to flee from her troubled past and travel the open road, until she runs into rancher Brandi Cornwell. Eden is fleeing a past filled with blood and death that promises to forever haunt her. She travels aimlessly until the day her motorcycle breaks down in the middle of nowhere, southern Idaho, and in rides Brandi Cornwell. Brandi Cornwell lives a simple life on her Idaho ranch. She works hard, struggles to make ends meet, and follows the Golden Rule. The only thing missing is a good woman to share the sunsets. As much as she’d like that woman to be Eden, Brandi senses the turmoil within her, and buries her feelings, knowing that whatever Eden’s running from, it’s going to take her away from Idaho and from whatever chance they might have at love. 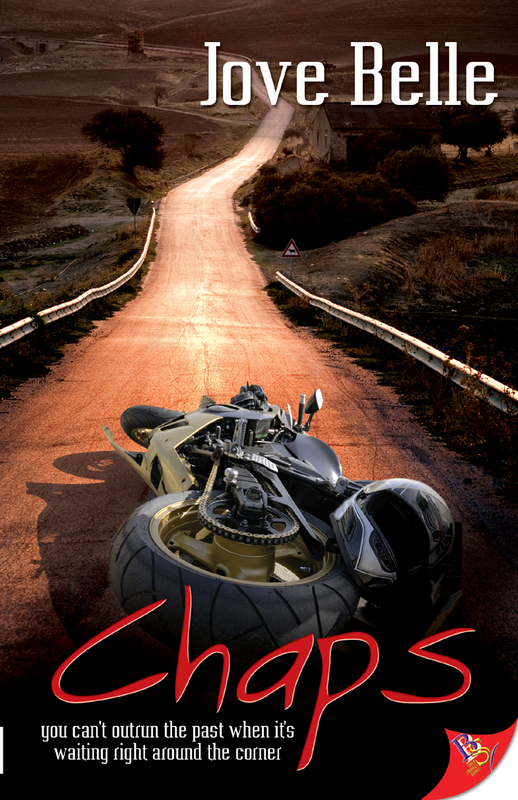 Chaps is available to buy at Bold Strokes Books, Barnes & Noble, Borders, Book Depository, and of course, Amazon.